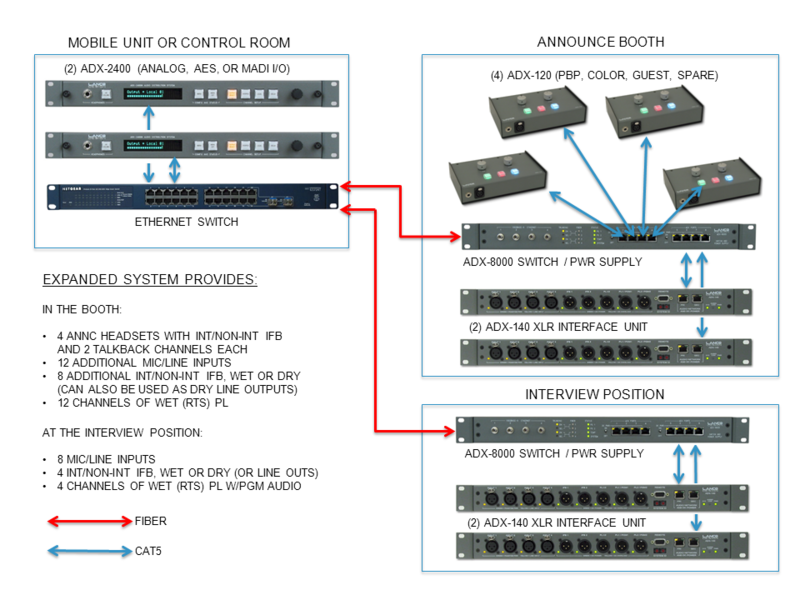 This system expands the basic booth capabilities by adding a second ADX-2400 in the truck and increasing the number of possible remote devices (ADX-120s and ADX-140s) to eight. This expanded system can handle more extensive booth requirements, while also supporting some other announce or interview positions such as locker rooms, sidelines, etc. The drawing shows four 120s and two 140s in the booth, and two more 140s in a separate interview position.